For some people, going to the beach is a great way to unwind, swim and get tanned. 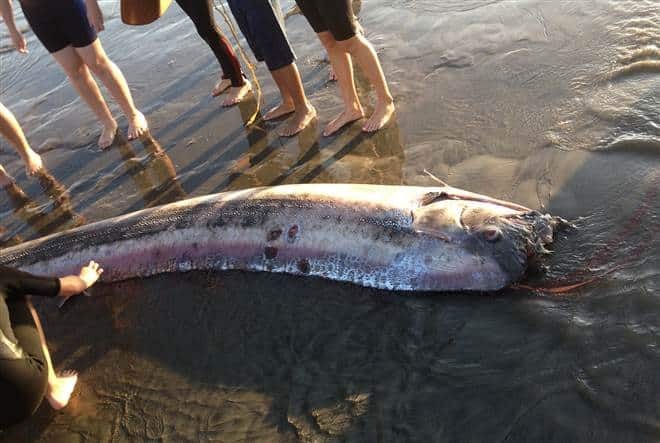 But for these people, a regular day to the beach in California was truly memorable after seeing a giant weird fish washed up on the beach. 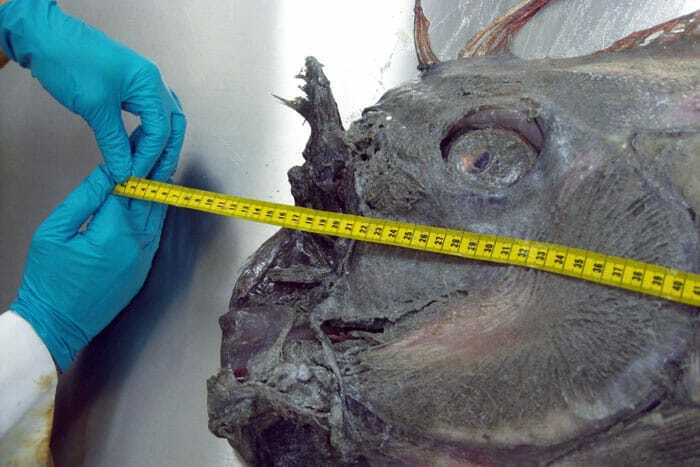 The monstrous fish is actually a deep-sea creature that only lives at 3,000ft below the surface of the ocean. So, what made it come up and more importantly, how did it get to the beach? People speculated, but scientists had the answers. Before talking about the cause of death, let’s find something about these creatures. 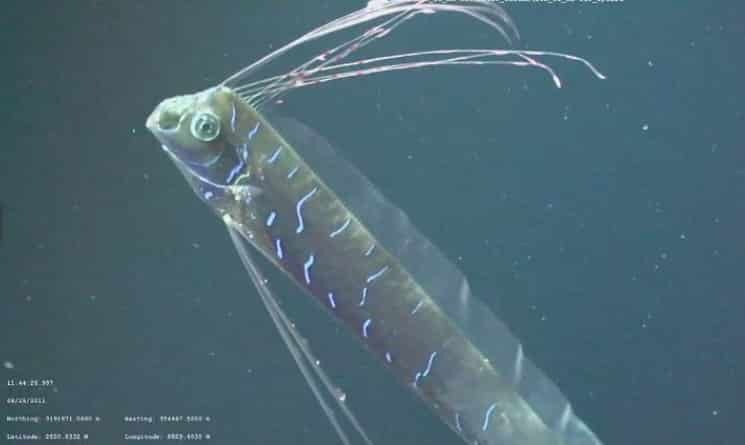 They’re called Oarfish and the Catalina Island Marine Institute (CIMI) stated that these fish are rarely seen or studied. 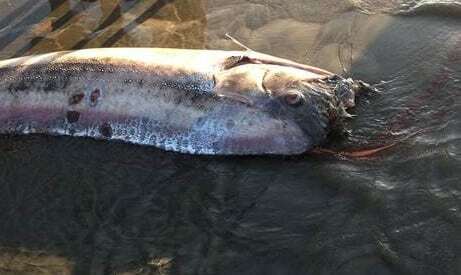 The Oarfish is also called king of the herring, Pacific oarfish, streamer fish or ribbon-fish. 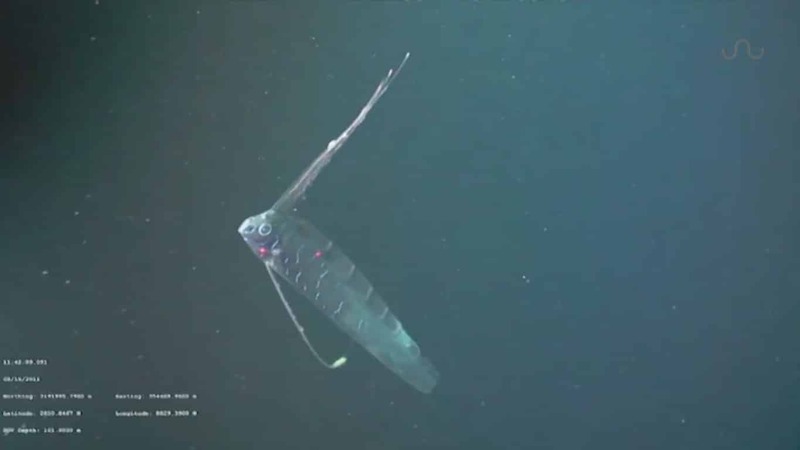 Living so deep under the sea, scientists don’t know much about the oarfish. The first of its kind was discovered in 1772. It was huge! Norwegian biologist Peter Ascanius discovered the fish. 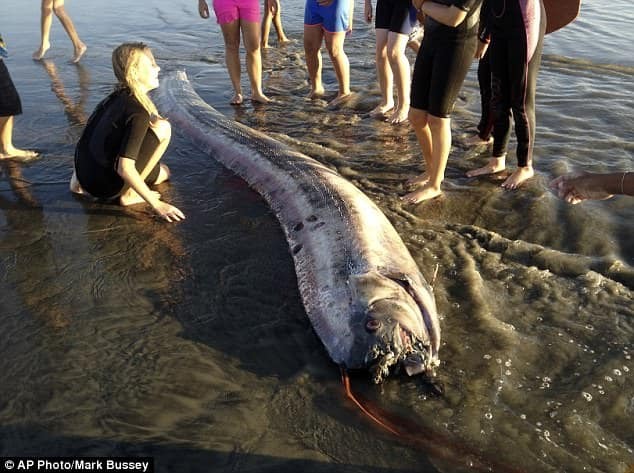 The ones discovered on the Californian beaches have had terrible fates, though. 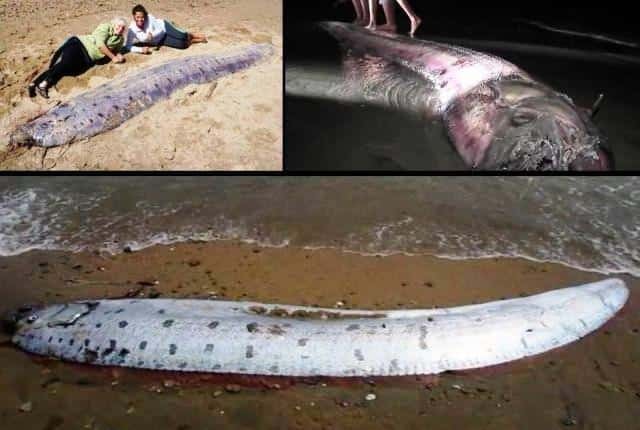 As they live only in the deep sea, it would have been weird to see one, especially on the beach! But how did they managed to get to the surface? 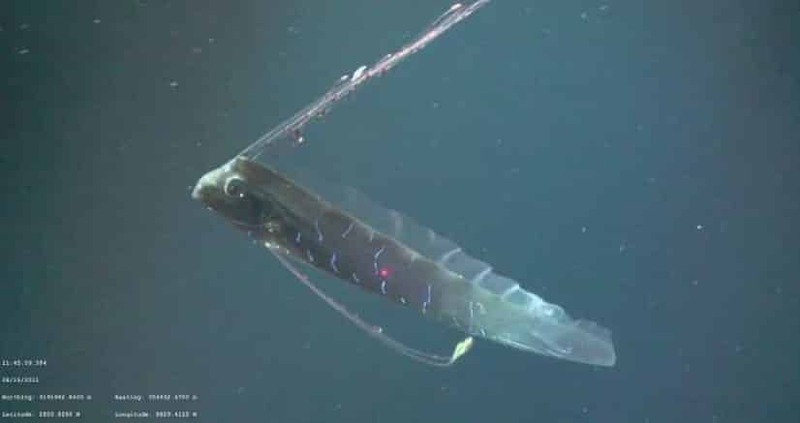 The pregnant oarfish was ‘in a good enough condition that you could eat it’, said Russ Vetter, with the Southwest Fisheries Science Center. When biologists dissected it, they saw thousands of eggs in its 6 feet long ovaries. 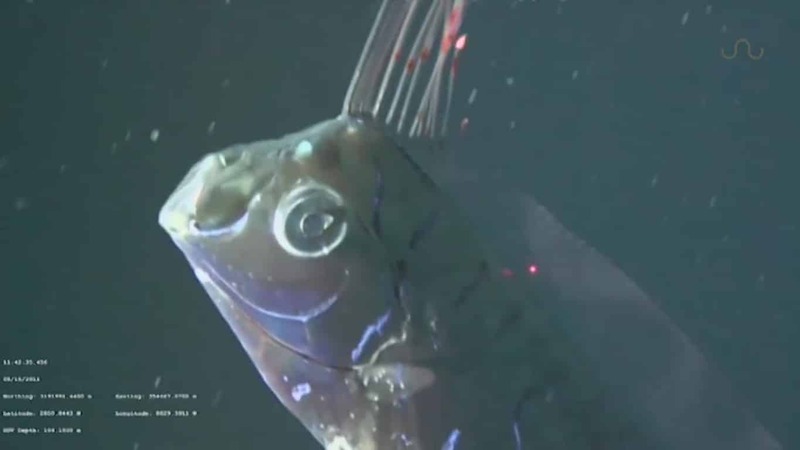 Because there were no other deadly wounds on the pregnant oarfish, except a lost tail, biologists said that it had some little bite marks, but the cause of death was still a mystery. As for the other sea creature… Prepare to be shocked! 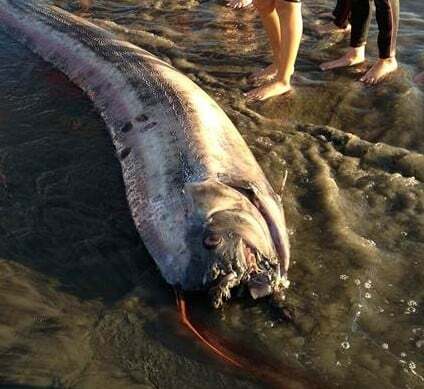 Scientists have a few speculations of their own on the death of the oarfish and on what made them come to the surface of the water in just a week. This is where Milton Love, a research biologist explains his theory and it’s unbelievable! 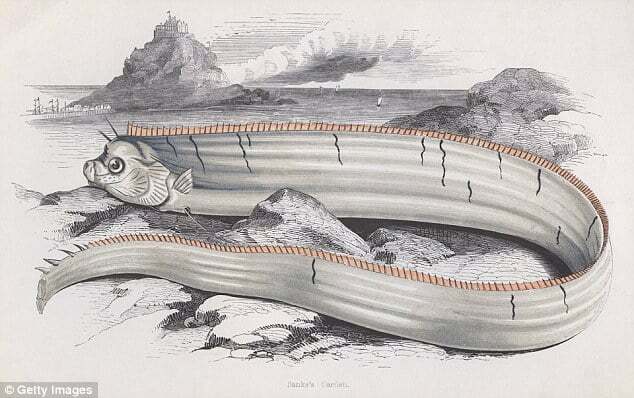 It looks like oarfish are not great swimmers, said Milton. So, a high current could have swept and killed them in the process. 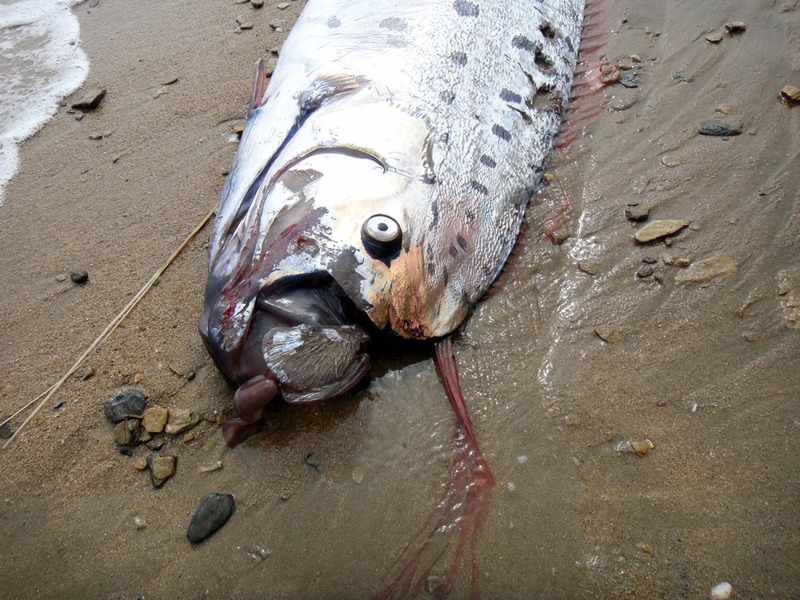 This would be a probable cause of death for both the healthy oarfish and the one infested with parasites. 6. That’s a Heavy Fish! 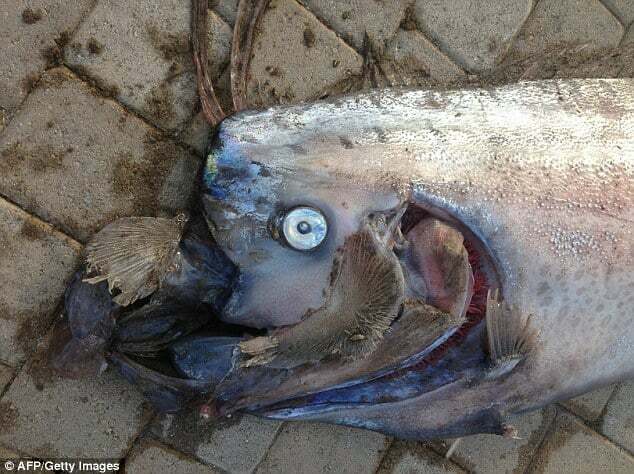 ‘It’s not the typical fish you see on shore,’ said Mark Bussey. 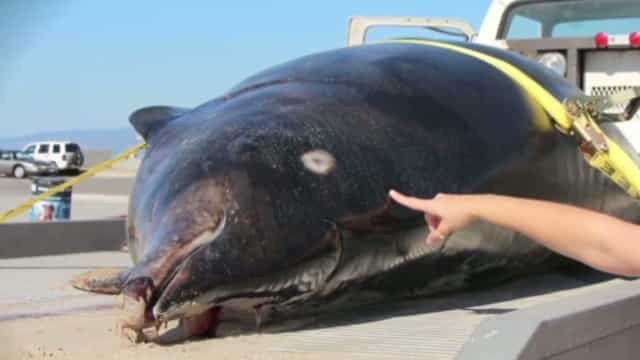 And you bet it, as you don’t always see a 200 lb fish washed out on the beach! 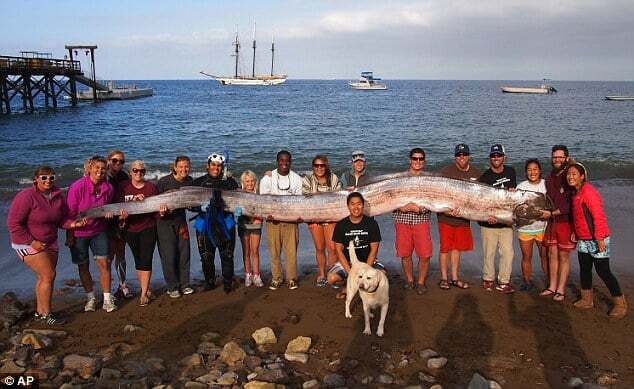 And that’s not the largest oarfish. You won’t believe how long it can get! 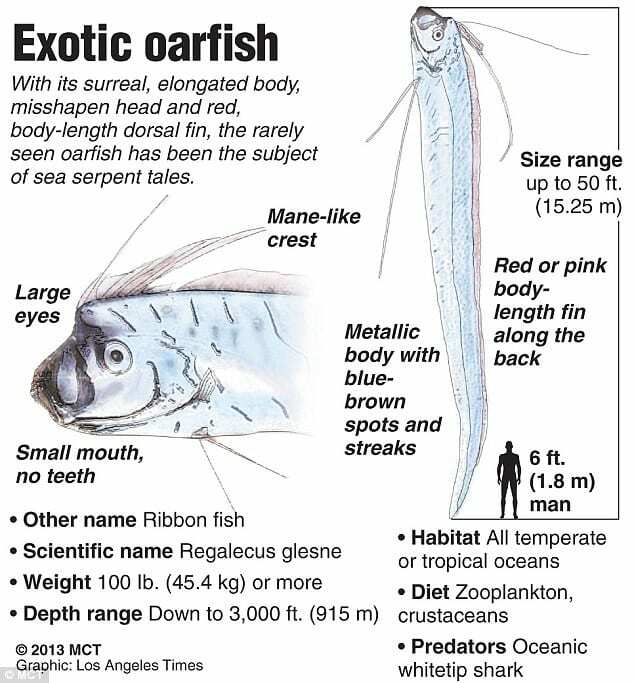 According to NOAA, the oarfish can grow over 50 feet in length, being the largest bony fish in the world’s seas. And the snorkeler who found the infested oarfish was Science instructor Ms. Jasmine Santana. Underwater, 30 feet down, Santana saw something shimmering, so she ‘swims down and grabs it by the tail and swims it to the beach. It was awesome.’ The senior captain on the ship was shocked! 2. Why Bringing The Fish to the Shore? Ms. Santana told Mr. Waddington than if she didn’t do it, ‘nobody will believe me‘. 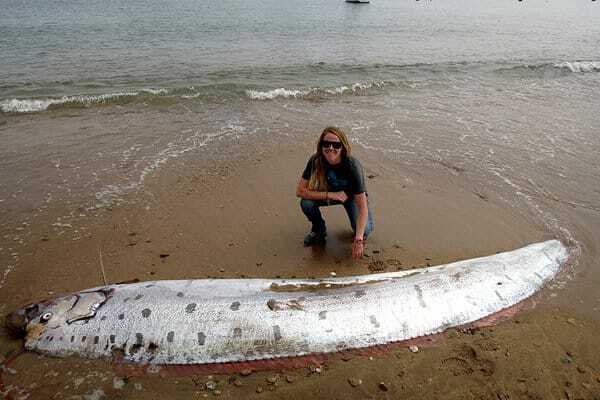 The snorkeler pulled the carcass of the fish for over 75 feet until others came to help her bring it to the shore. And soon everyone would believe her! 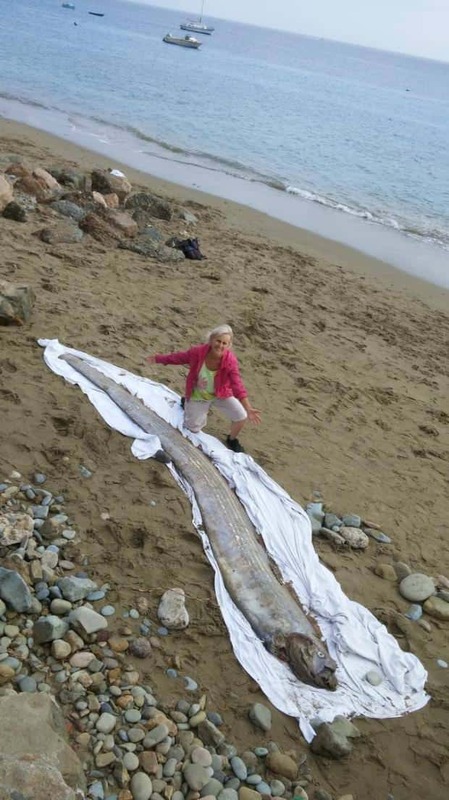 Wondering when was the largest oarfish recorded? 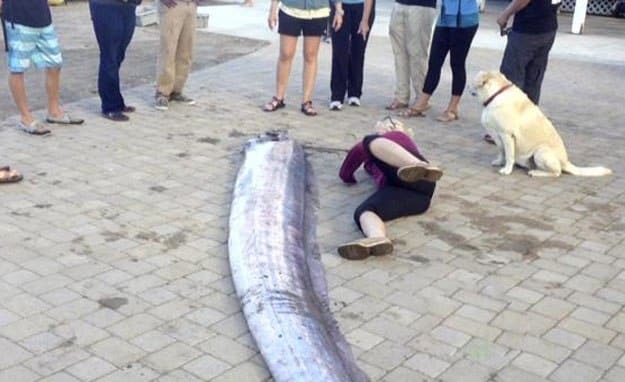 A group of Navy seals found off Coronado, close to San Diego, the largest specimen of oarfish ever recorded. It was 26 feet long. It happened back in 1996, and as Ms. Santana, they took a picture for people to believe them!